To help combat the signs of ageing caused by menopause, we must first and foremost use a high quality moisturiser. Mature skin is different from younger skin types as it can be more sensitive and becomes thinner as your collagen production begins to deplete, as early as your late thirties. It is sometimes best to avoid using certain ingredients, such as products which contain formaldehyde, parabens, and toluene, as these can be damaging to your health and can sometimes cause allergic reactions. 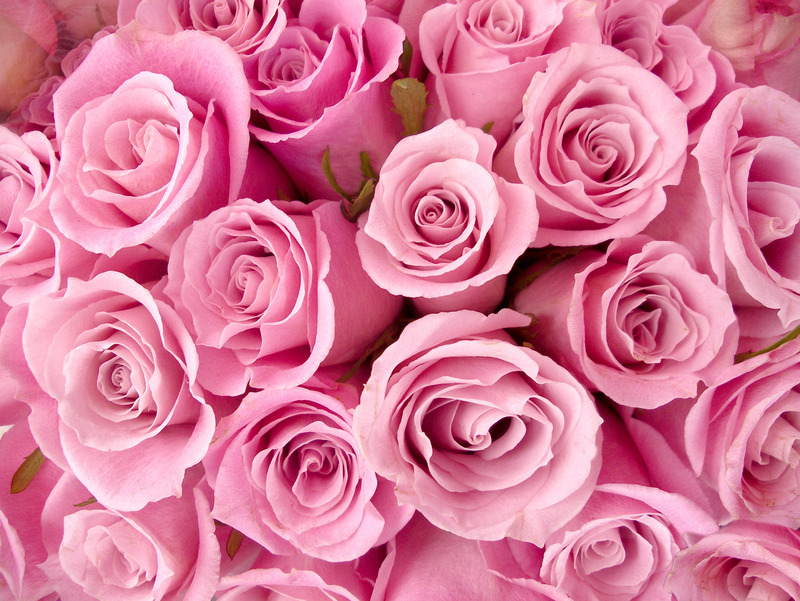 Parabens have also been said to have increased the risk of breast cancer. Artificial fragrances can also be harmful to our skin, so you should try to look for naturally fragranced products where possible. 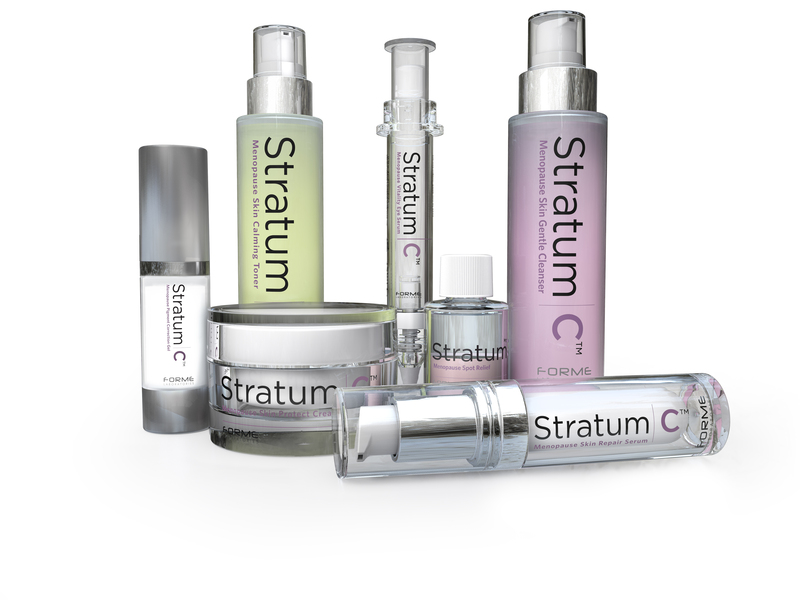 The Stratum C Menopause Skin Care Range uses natural ingredients that encourage natural collagen production, avoiding the need for invasive treatments. The products use a combination of 6 peptides derived from natural sources and a high quality hyaluronic acid, which naturally occurs in the body but depletes when you begin menopause. As opposed to many high street brands, Stratum C Protect Cream uses a much lower water content (45%) and higher amounts of the important ingredients needed for reducing wrinkles. Some cheaper products can use up to 90% water and a smaller amount of active ingredients, hence why you can sometimes find creams that are ‘too good to be true’ on price. The other natural ingredients in the Protect Cream are Apricot Kernel Oil which is a good source of Vitamins A and E (great for taking care of the skin) and Jojoba Oil which is a derivative of the Jojoba bean and is very similar to the skins own oils. Jojoba is often used in cleansers as it helps to cleanse the skin of impurities, making it a great ingredient for a moisturiser. Stratum C Repair Serum uses a high level of Seaweed extract (a particular kind nicknamed Irish moss, therefore differing from many other seaweed based brands) which revitalises the general appearance of skin and can be used to target the most problematic areas for wrinkles, including the nose, forehead, and chin. Stratum C Vitality Eye Serum uses naturally derived peptides which are suitable for the sensitive area around the eyes, as this particular area can become much thinner and sensitive. These peptides also help to reduce puffiness and dark circles from lack of sleep or bad circulation, and help to reduce fine lines and wrinkles. During menopause, your skin needs extra special care and so it is worth investing in specialist skin care products that use only the best ingredients for you. Moisture is the key to keeping your skin toned and full of life and Stratum C products have been formulated specifically with menopausal skin care needs in mind, therefore the ingredients are of the highest quality, perfect concentrations (as the skin becomes sensitive and needs to be treated carefully) and has been clinically proven to reduce wrinkles, improve your complexion and make skin feel nourished and revitalised. Lastly, it is also really important to avoid sun damage. If you know you are going to exposed to the sun you should wear a good sun cream with at least SPF 15, and apply it about 20 minutes before you leave the house to ensure it starts working. You can also help to prevent and repair age spots with Stratum C Pigment Correction Gel which uses natural ingredients and inhibits the enzyme in the skin (Tyrosinase) from forming further Lipofuscin spots. The gel also helps to reduce the appearance of existing spots and is highly moisturising with high levels of Hyaluronic Acid. Unfortunately, menopause has been known to re-introduce you to some nasty friends, spots. But go careful not to use abrasive cleansing products on your skin as many spot cleansers are designed for teenagers, whose skin is much thicker and more robust, allowing them to often require stronger doses of spot reducing remedies. Try Stratum C Gentle Cleanser made with Rose Hip Seed Oil and containing no preservatives. Rose Hip is particularly good for more mature skin types and is full of antioxidants to help protect your skin from further damage. You can also help reduce oily complexions by eating right (see below) and avoiding heavy synthetic make up where possible. Stratum C Calming Toner uses CoQ10 and provides strong antioxidant protection and moisture, via several botanical extracts and Hyaluronic Acid. This toner works well when used with Stratum C Cleansing Toner to help clear your skin of impurities, and with it’s gentle protection, will make your skin feel nourished and refreshed. One reason our skin becomes more oily is often because it is trying to compensate for periods of dryness. Where the skin is exposed to harsh conditions, your pores produce more sebum to try to protect itself from becoming damaged through being dry. The mixture of oils, dry skin cells and surface dirt mix to create impurities in the skin. Therefore logic dictates that if you use a good moisturiser like Stratum C (as well as cleansing the skin first) it will help keep impurities at bay. Our Stratum C Spot Relief is an overnight treatment which can reduce redness and inflammation. By applying the lotion at night, you can leave it to dry as you sleep and wash off the following morning to reveal a reduced blemish, whilst not having dried out the entirety of the skin. Many products on the market are aimed at younger sufferers of spots and blemishes, and can often contain drying agents that would not suit menopausal skin. A good tip is to try to keep your hair away from your face, neck and shoulders as your hair can carry a lot of dirt picked up during the day and can unknowingly rub off onto your skin, causing unwanted blemishes. Try a shorter style or wear you hair up more often, this will also allow you to show off your new beautiful and revitalised complexion. If you feel like your spots become too much, we advise that you see a health professional. Generally, whether you are menopausal or not, the key to good health is a good diet. Alongside your important skincare routine, you should maintain a well balanced diet or else you may simply undo all your hard work cleansing and moisturising your skin. Good foods for menopausal skin in particular include beans, and nuts and seeds, like sunflower and pumpkin seeds, and almonds. These are a good source of Vitamins A and E, Zinc and Calcium. You should also try and increase your intake of yoghurt and and fruit such as pears, apples, grapes, dates and raisins as they are alkaline foods, and a good source of Boron which helps to relieve menopausal symptoms. Foods to avoid include fizzy drinks, red meat, caffeine, sugary food and drinks, and stimulants like alcohol, coffee and chocolate. Fizzy drinks and red meat are a source of phosphorous which can counteract your intake of calcium and magnesium, which can weaken your bones. Red meat is generally heavy on your digestive system so why not try to include more fish in your diet, as it is a great source of Omega oils which are fantastic for your skin. Too much sugar can make you tired. It is best to cut down on sugary food and drink altogether, ensure that you eat regularly and try not to miss breakfast. By ensuring your blood sugar levels stay balanced, you are likely to feel less tired throughout the day. A good tip is to eat complex carbohydrates that can be found in wholemeal bread, rice and pasta instead. For relieving hot flushes, you should avoid spicy foods, which may in turn also help your digestion. For relieving symptoms of stress and depression related to menopause, you can up your intake of the amino acid tryptophan which can be found in cottage cheese, turkey, oats and legumes. It really is true what people say about beauty sleep. Sleep is the best healer for most ailments, especially if you are feeling low and overwhelmed by the onset of menopause. A handy tip is to make sure you sleep with pillows – as keeping your head slightly more elevated from your body helps to reduce the build up of fluid around the eyes, making you look fresher when you rise the following day. Though our Vitality Eye Serum can also help to relieve the effects of sleepless nights to brighten your eyes. If you are having trouble sleeping, see our archive for tips to help you sleep and also see Stratum C on Twitter, Facebook and Pinterest for daily tips on keeping cool and sleeping well. When you have a busy life, whether it’s work, children (however old they are!) or you are simply a busy bee… you should always try to find time for good old fashioned exercise. The fundamental steps to a healthy body is sleep well, eat right and get at least 20 minutes of heart pumping exercise a day. However, during menopause, you may also want to incorporate a few added extra tricks into your daily routine that will help fend off those dreadful hot flushes and generally help you to become a healthier, happier you. BATH TIME – If your usually the type that enjoys scolding hot baths to help you relax, you may want to rethink your strategy. 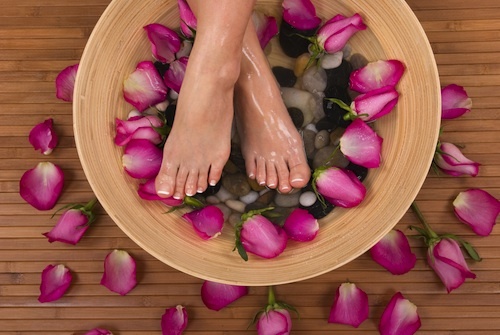 Being in contact with hot water can make hot flushes worse and so why not take a warm bath or shower instead. By cooling the temperature, it may also cool your hot flushes. HUMIDIFIER – It is always pleasant to have some kind of humidifier in your home, but when you are undergoing menopause, having a humidifier can help your skin and health greatly. Humidity can drop in very warm environments and so if you have the heating on at home, especially when its cold outside, the moisture in the air can disappear, leaving your skin feeling dry and also sometimes causing respiratory issues due to the drying up of mucus in your nose and throat. Use a humidifier to help maintain a balance of temperature and moisture in your home to ease the symptoms of menopause. QUIT SMOKING – Smoking has detrimental affects on everyone’s health, and it ages the skin at an accelerated rate. Try to cut them out and find a more healthy habit, your skin and lungs will be most grateful honestly! Some tips to try to give up are: try sugar free lollipops as they offer hand to mouth attention that you miss when you give up smoking; ask your pharmacist for NRT (Nicotine Replacement Therapy) which can come in the form of gum, patches and even those new E-cigarettes which give you the feeling of smoking, when really you are weaning yourself and becoming much healthier. Lastly, try changing the way you eat and exercise as these two things can be a good way to boost serotonin levels and improve your overall mood, making it easier to kick the habit. See our archives for more helpful articles and our social networks on Facebook, Twitter, Pinterest and Google+ for top tips on how to manage menopause, sleep and all things health. We hope you find this page useful. Please remember that this site is purely informational and that is should not be use for diagnostic purposes. If you think you may be feeling any irregular symptoms, make sure you see a health professional.